On Saturday, October 6th, the two icons the cerebral assassin and the deadman went on to lock horns for one last time at WWE Super Show-Down in Melbourne, Australia. Inarguably one of the best rivalries in WWE history pinned the final chapter of their generation. As for attitude Era stalwarts, The Phenom and The King of Kings have battled against each other for the better part of 20 years, leaving an indelible series of five-star matches. 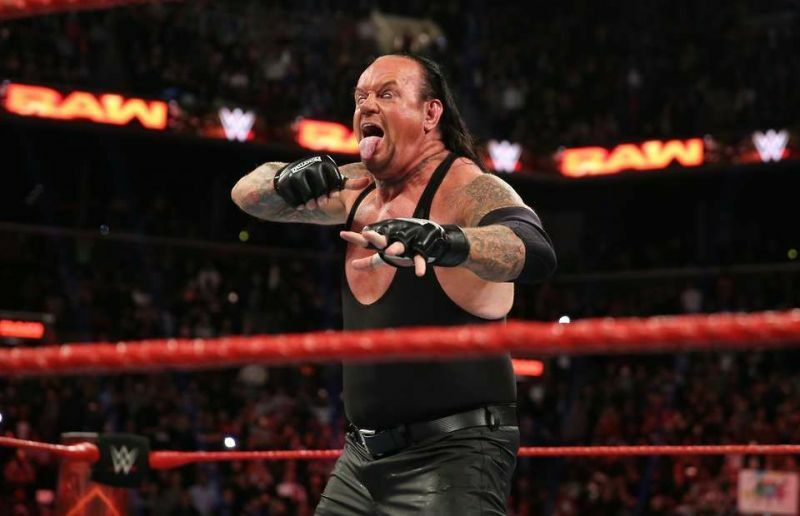 As The Undertaker and Triple H face for the final time to determine once and for all who is the best.scroll down to look back at their top five matches. A match in his unusual setting took place at Penn station in New York city for intercontinental championship. Yes, you read that right. It started with Triple H arriving in a limo and later ended with the champion sliding down an escalator by way of a Tombstone Piledriver, of course. This match set the stage for what would come when these two Superstars crossed paths again, in and out of the squared circle. Their encounter on Monday Night Raw in June 1999, came amidst The Undertaker’s third reign as WWF Champion. It was a typical Attitude Era brawl wherein the participants fought all over ringside. In this aggressive No. 1 Contender’s Match for the WWE Championship, both Superstars traded a slew of near-falls and reversals for most of the bout. In the end, rattle-snake Stone Cold Steve Austin and People’s champ The Rock would cost them the match, leaving room for wonderment on what would’ve happened had they not interfered in the boiling battle. The Undertaker and Triple H had battled for months on their way to WrestleMania 17. Undertaker ended up making this match after his brother Kane warned to throw Stephanie McMahon-Helmsley to the ground from about twenty feet in the air. In the first 30 seconds of the bitter rivals hitting the ring, Triple H went smack dab through an announce table by way of a hard right from The Phenom. Triple H and Undertaker continued to brawl into the crowd and by the control station. They would end up getting onto a platform with ‘Taker hitting punches and throwing him onto a higher structure by a camera. This great match put The Undertaker at 9-0 at WrestleMania. While this bout was a lot of fun, it was not the best match that these two would end up having. Ten years after their classic at Wrestlemania X7, Triple and The Undertaker clashed once more on the grandest stage. Besides the electric stare-downs, the Chokeslam-turned-Pedigree reversal on the announce table, and, the edge-of-your-seat drama before the Tombstone finale, no moment better symbolized the gravity surrounding this blockbuster contest than what takes place in the opening seconds. Triple H was only left with one option; he had to kill his opponent. Literally, kill him. It’s the only way he could walk out of WrestleMania as a winner. He had to do what only he has the courage and sincerity to do. So when Hunter dug under the ring to get his signature weapon, his sledgehammer Triple H was poised to deliver the final blow when Undertaker, out of nowhere, applied the Hell’s Gate submission maneuver to a shocked Triple H. Hunter was so close but still a mile away from ending this match and Undertaker’s career. In their most epic match yet, Triple H and The Undertaker upped the intensity still further by clashing inside WWE’s most demonic structure, Hell in a Cell. With Shawn Michaels installed as the special referee, the deck was well and truly stacked against the Phenom. What followed was one of the best-constructed sports entertainment match-ups in company history. When the wicked fortress landed, entrapping Triple H and Undertaker as they stood center stage in front of more than 78,000 WWE fans on The Grandest Stage of Them All, other than the emotions billowing in the air, it was crystal-clear that there was to be no other WrestleMania match like this. After the grueling battle full of desperation, near falls and phenomenal storytelling culminating with another win for The Undertaker one of the most rewarding WrestleMania moments took place. Shawn Michaels and The Undertaker assisted an exhausted and defeated Triple H out of the ring and up the ramp, turned to the audience and embraced, showing the genuine respect, emotional toll and sense of accomplishment for the magnificent works of art they were able to construct.